I’m totally digging this construction party by Cheryl of Moms and Munchkins! It was decorated entirely using my construction party printable decor kit, with a whole lot of great construction party food ideas (all of which come included in the kit). And excitingly, the party was featured in Calgary’s Child Magazine! The party table was decorated with a mini pennant banner, and the backdrop was covered in printable road signs, stop lights, and party signs. The “Refueling Station” served “Crew Punch” – Minute Maid boxes decorated with water bottle labels and straw flags. Cheryl displayed hard hats and printable paper lunch boxes on a “steel beam” (made from wood! – more info here). The “Construction Cupcakes” were a highlight, of course! They were decorated with printable cupcake wrappers and toppers from the kit. 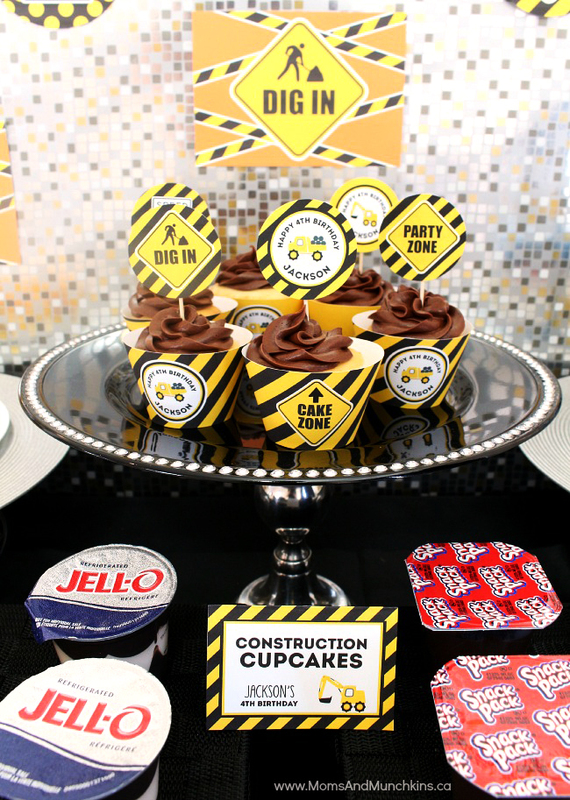 All of the party food became construction themed thanks to some fun puns on the printable buffet cards! Shop for personalized construction theme party paper goods and printables here. 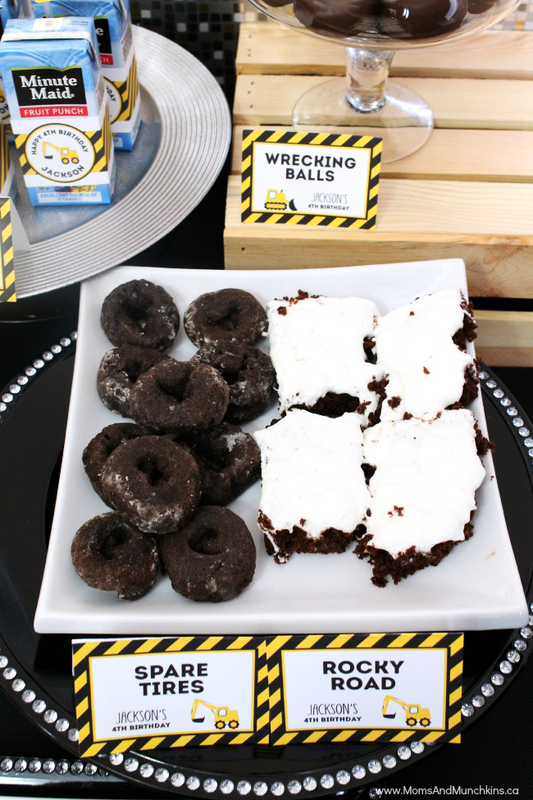 Or, check out more construction party ideas on Pinterest or here on my blog! Thank you so much for sharing! Your construction party kit is the most complete party kit I've ever used and I LOVE it! It made planning this party so easy! The Construction Party would have been a HUGE hit when my son was 4!